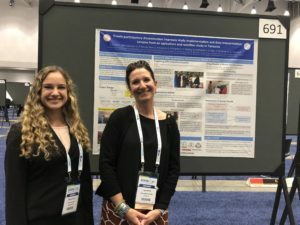 This year, many members from YRG presented at the annual American Society for Nutrition meeting in Boston, MA. 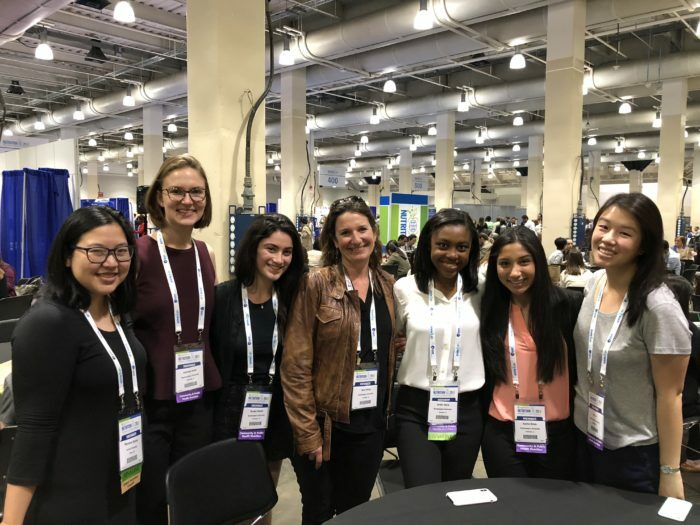 Northwestern students who presented posters were able to apply the skills they had recently learned from Dr. Young’s new course on data analysis, results dissemination, and scientific communication. Lin A, Santoso MV, Collins SM, Bezner Kerr RN, Kassim M, Mollay C, Martin H, Mtei K, Kalonga J, Mtinda E, Young SL. He said, she said: intra-household disparities in water insecurity experiences between men and women in Tanzania. American Society of Nutrition Annual Meeting. Boston, MA. June 2018. Smith, SN, Santoso MV, Bezner Kerr RN, Kassim M, Mollay C, Martin H, Mtei K, Kalonga J, Mtinda E, Young SL. Timely participatory dissemination improves study implementation and data interpretation: lessons from an agriculture and nutrition participatory study in Tanzania. American Society of Nutrition Annual Meeting. Boston, MA. June 2018. Olmos SM, Santoso MV, Garigipati P, Benzaken C, Beck A, Umuhire E, Young SL. Systematic literature review of the relationship between women’s empowerment and child nutrition indicates women’s empowerment is important but poorly defined and measured. American Society of Nutrition Annual Meeting. Boston, MA. June 2018. Hassan B, Santoso MV, Bezner Kerr RN, Kassim M, Mollay C, Martin H, Mtei K, Kalonga J, Mtinda E, Young SL. Male attendance at antenatal care clinic visits is not associated with involvement in childcare of child dietary diversity in Singida, Tanzania. American Society of Nutrition Annual Meeting. Boston, MA. June 2018. Clark K, Santoso MV, Miller JD, Collins SM, Onono M, Young SL. Food insecurity is positively associated with infant morbidity symptoms at three months of age in Nyanza, Kenya. American Society of Nutrition Annual Meeting. Boston, MA. June 2018. ​Santoso MV, Bezner Kerr RN, Kassim M, Mollay C, Martin H, Mtei K, Kalonga J, Mtinda E, Young SL. Food insecurity exacerbates depression among women more than among men in rural Tanzania. American Society of Nutrition Annual Meeting. Boston, MA. June 2018. Dr. Young with Shanna Smith, a Cornell undergraduate.